South Korea’s January 2015 defense white paper notes that North Korea has likely miniaturized a nuclear device. According to reports based on the most recent biennial South Korean defense white paper released on Tuesday, North Korea has achieved to a “significant” degree the ability to miniaturize a nuclear device. Such a device could be placed on the tip of an inter-continental ballistic missile (ICBM) for long-range delivery. Developing a reliable deliverable nuclear warhead for mounting on its Taepodong series of long-range ballistic missiles has been one of the major goals of the North Korean nuclear program. According to an anonymous South Korean defense ministry official cited by Yonhap News, Pyongyang’s Taepodong-2 long-range missile is also believed to have been improved in 2014 to now support a range of up to 10,000 kilometers. North Korea conducted its most recent nuclear test in 2013, leading to widespread international condemnation. It also conducted two underground detonation tests in 2006 and 2009. All tested devices so far have been plutonium-based. 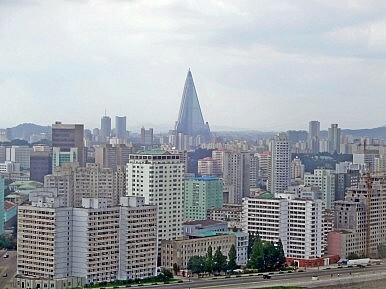 According to the South Korean defense white paper, “North Korea’s capabilities of miniaturizing nuclear weapons appear to have reached a significant level.” “North Korea is presumed to have secured some 40 kilograms of weapons-grade plutonium by reprocessing spent nuclear fuel roads multiple times, and it is evaluated to have been working on the highly enriched uranium program,” it adds. Crucially, Yonhap cites another defense ministry source who notes that the South Korea defense ministry does not “have any intelligence that North Korea completed the miniaturization.” The white paper’s assertion that the North has likely acquired this capability is based on the period of time that has elapsed since North Korea conducted its first nuclear test. Based on South Korean knowledge of North Korea’s nuclear know-how (which is limited to begin with), the eight years that have since elapsed should have allowed the North to miniaturize a plutonium-based nuclear device. The South Korean white paper also put forth the assertion that North Korea is “presumed to have (missiles) capabilities that could threaten the U.S. mainland, having fired off long-range missiles five times.” Range estimates of North Korean ballistic missiles are notoriously varying. The North successfully launched a satellite on its Unha-3 long-range rocket back in 2012, and it has regularly tested other long- and medium-range rockets to varying degrees of success. Interestingly, the South Korean defense white paper also lambasted Japan’s claims to the Dokdo/Takeshima islets — a disputed set of uninhabited islands in the Sea of Japan. “The regressive historical conception by some Japanese political leaders and its unjustified territorial claims to Dokdo have served as a stumbling block for the future-oriented development of bilateral relations,” the paper noted. “The defense ministry will continue to sternly deal with Japan’s unjustified claims to Dokdo, while cooperating further on major security issues such as North Korea’s nuclear threats for peace and stability in Northeast Asia,” it added.